A Little, A Lot, or All of It? Hey stamper – which describes you best? A little, a lot, or all of it? Of course I’m talking stamping! You’re a happy go lucky, stamp a little when I can kinda person. Your little stash keeps you happy. Perhaps you have a Paper Pumpkin subscription, that supplies you with what you need, when you need it. Having everything provided for your projects in the Paper Pumpkin kit keeps you happy! Coming to my monthly card classes gives you new ideas, a social break, and extra cards. You like to have choices! 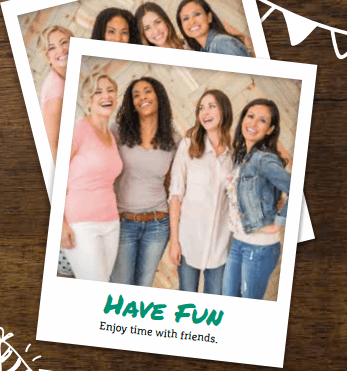 When the new catalogue comes out, you gotta have a Party, because you KNOW you want LOTS of the new products 🙂 Coming to card classes is fun; you like the social aspect and holding parties give you both – fun times and free product with your Host Rewards! Not content with a bit of this, a bit of that – you WANT IT ALL! I’m not saying that like it’s a bad thing – quite the opposite! You know what you like, you love to share your ideas with other people and help them create, and you’d like have all the tools & products to do it with. Whatever type of crafter you are – A Little, A Lot, or All Of It – I have a solution for you! A Little – join my card making classes for the social aspect! Get yourself a Paper Pumpkin subscription to get your all-inclusive kit to go. You don’t have room for everything, so this is the perfect solution. SIGN UP HERE for your Paper Pumpkin! A Lot – CONTACT ME NOW to book your party! There’s only 10 days left in June for you to benefit from Extra Host Rewards in June! Previous Previous post: New Embossing Paste! Next Next post: How Do You Like Your Coffee? What a great blog post! You are an awesome salesperson!